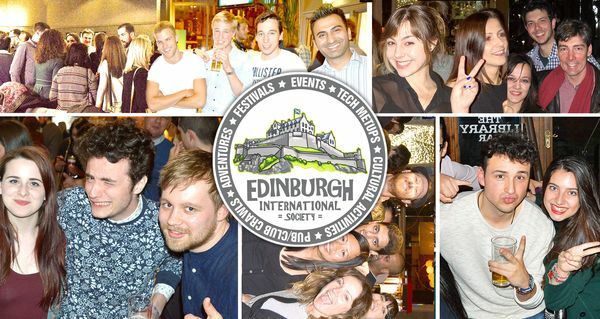 Edinburgh International Society is the premier international community for people who want to experience new activities, share ideas or exchange resources and bringing some fun into their lives and making new friends along the way. Join us and be part of the awesome multicultural groups in Edinburgh! Whether you are the student, local or new in town or an expat in Edinburgh, come and meet new friends and discover new places with us. Our group takes the hard work out of being new in Edinburgh so you can focus on the fun part. This will develop your social connections in Edinburgh enormously! We look forward to meeting you soon at one of our fantastic meetups: find upcoming events in Edinburgh! A high number of local and International members from all kinds of backgrounds and cultures creating a great dynamic while keeping the consistency of valuable long lasting relationships. The most efficient way to meet friendly locals and internationals experiencing the best conversations and activities! Events usually start at 8:30 pm – and Ends at 11:30 pm. After Edinburgh Friday Night we usually head out to the dance floor with Free V.I.P. entrance. If you are interested in joining us for nightclubs, we need a guest list down for the clubbing, Please RSVP to avoid any disappointment. Two hours to network or pre-drink, then party time all night long on the dance floor. Perfect for the ones willing to have fun and enjoy dancing in different nightclubs and V.I.P Parties! Let’s get Smashing! The main international event on Saturday night in Edinburgh! The event starts at 9:30 pm – Ends at 3:00 am. We look forward to seeing you soon in a welcoming and friendly venue and atmosphere. You’ll not only get the chance to meet new people in Edinburgh but also be able to experience every type of activity that involves socialising; social events, language exchanges, cultural clubs, parties, picnics, walks, day trips, clubbing nights, dining outs, very friendly atmosphere and more intimate venues. All members must be over the age of 21 to attend our events. New and pending members: please be sure to read and agree to our; Terms and Conditions and Group Guidelines on our website. If you would like to join and stay in Edinburgh International Society; all members are required to have a real, recent and clear main profile photo of themselves or they will not be allowed to join this group or removed. Edinburgh International Society aims to make a positive contribution to communities in Edinburgh city and international relations with social events, activities, community projects.. Whether you are a student, investor, entrepreneur traveller or professional Our main event Edinburgh Friday Night Social and International Creative Weekends are free for everyone and open to everyone. Are you interested in to join Edinburgh International Society? Before you dive into our wonderful community, please read our guidelines to keep you right along the way.